Happy Tuesday! Today is Lawn Fawn Peace Joy Love collection day. This Christmas collection is so NOT your typical line. It's not just the colors, but also the patterns that make these paper so easy to use. This collection makes me happy. Loooove the background paper. So good! (Going to try and convince Kelly to do them in different colors.) The patterned papers on the right side are journaling cards from the 12" x 12" journaling card sheet. The trees are cut out from another patterned paper (the one with strips of patterns.) The flair is also from the collection. I added a hand-stitched border at the end. 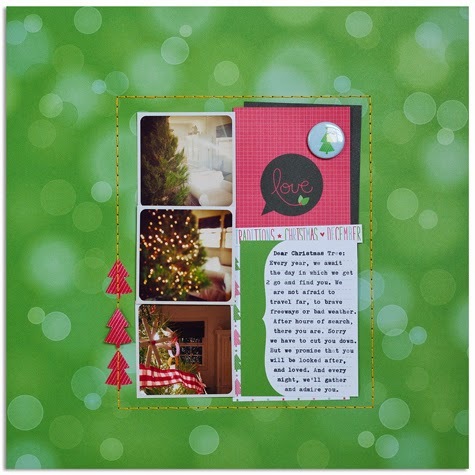 For another layout using this collection, check out yesterday's post here. Don't forget to go by Lawn Fawn's blog and leave comments to win awesome goodies. I'm saying commentS because there are prizes each day of this Inspiration Week! Go do it! Hello there! Lawn Fawn is hosting its September Inspiration Week, and that means a ton of inspiration/ideas/prizes. I'm a huge fan of fall/winter, but since I've moved here to Los Angeles, I've gotten none of that. So it's time to adapt, right? I so love this season's new products. 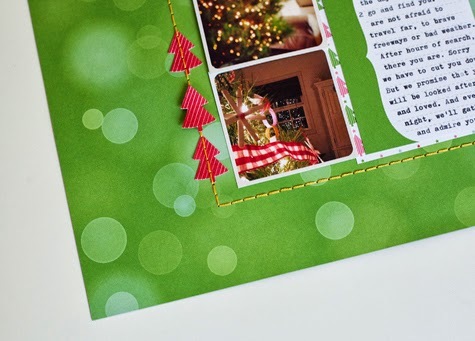 The colors are fantastic, and the patterns are so easy to incorporate into layouts and cards (with or without snow.) See the "& everlasting summer"? Milo's ABC stamp set. Fantastic! The arrow strip below it are from the Stitched Journaling Card dies. The heart and arrow are from Woodgrain Backdrops (which is my have!) 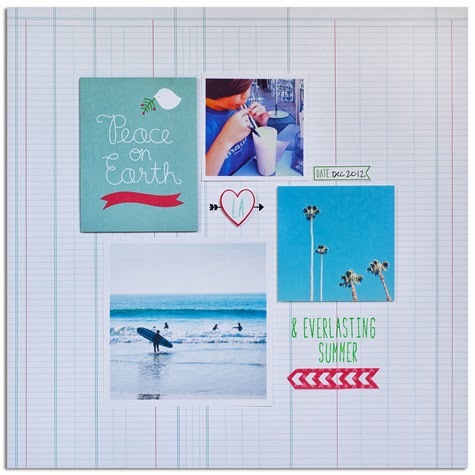 The patterned paper, Peace on Earth card, and the date banner are from the Peace Love Joy collection kit. 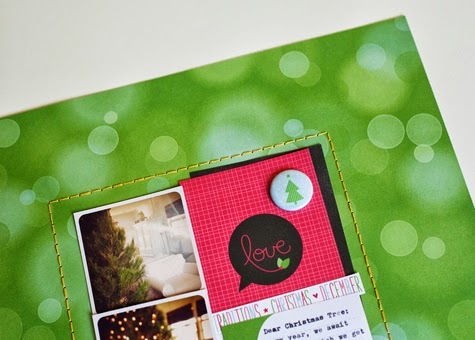 Run to the Lawn Fawn blog and leave your comments for each day of the week for a chance to win stamps, dies/ papers! Thanks for dropping by. Oh look, I haven't posted in a while. Since the last Studio AE hop. And it's that time again. Another Studio AE launch. I'm pretty sure you guys are going to LOVE this set. Plus, we are celebrating the 3rd anniversary of Studio AE. That means, Technique Tuesday is giving away THREE gift certificates. Oh yeah. 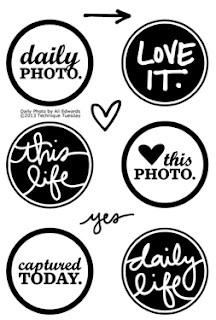 This month's set is called Daily Photo, and super duper usable for scrapbooking and Project Life. Here's a simple layout I created using this set. 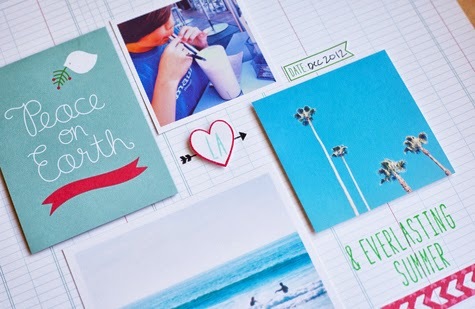 Totally my kind of scrapbooking: photo, journaling, a little color/detail, and white cardstock. 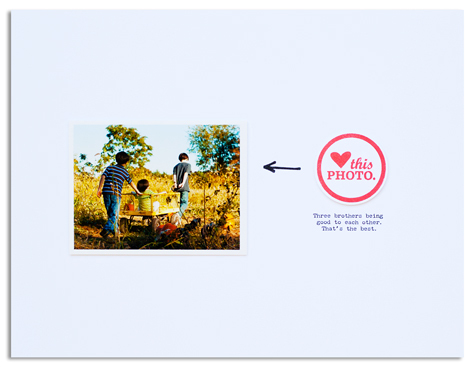 How-to: I stamped "heart this photo" on white cardstock and punched it out with a 1.75" circle. 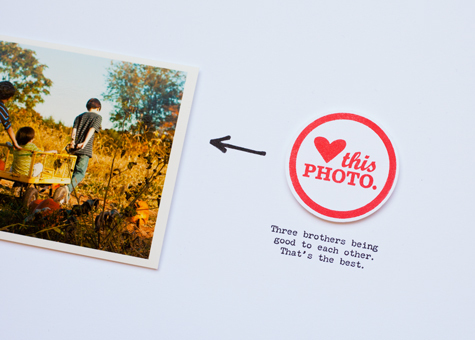 Then I used some pop up dots behind it, as well as behind the photo.The arrow is stamped directly onto the background cardstock. And the journaling is printed onto the background too. Super easy! Please leave me a comment for a chance to win. Thanks so much for stopping by. Don't forget to go by each of the stops in the blog hop and leave comments for three chances to win! We are celebrating the third anniversary of Studio AE this month at Technique Tuesday! So guess what? We are going to give away three $25 gift certificates. To be eligible to win, all you need to do is comment during the hop! The three lucky winners will be announced on the 15th on the Technique Tuesday blog.